Seriously, September is already over? Labor Day seems so so long ago but then feels like just yesterday all at the same time. Work is crazy, weekends are crazy, I am going crazy. Crazy excited for the fun times ahead in October: one of my best friend’s weddings, mine and hubby’s birthdays, and our trip to Washington. We actually leave in two weeks and have not one single plan set. Who am I? Ah! Join me on these crazy adventures, documented everyday using Fat Mum Slim’s prompts (October posted below). 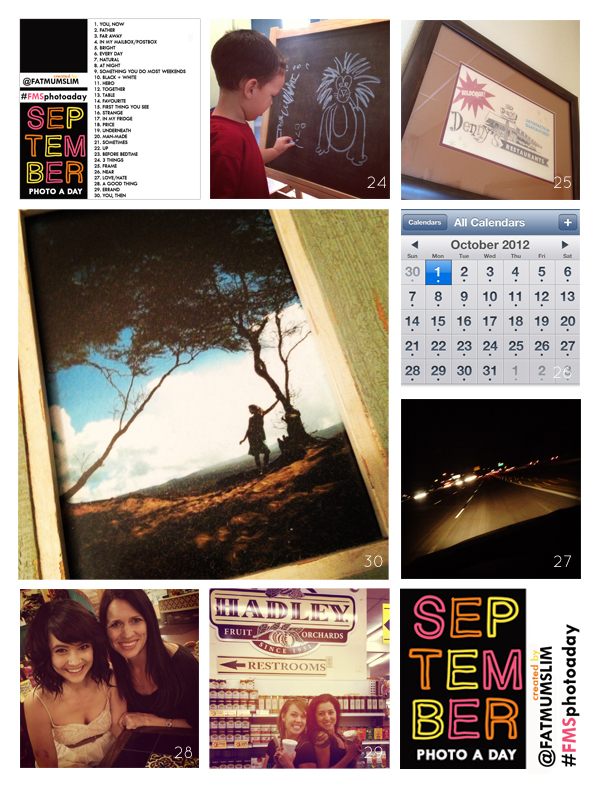 Join in on the fun this month with Photo A Day October! 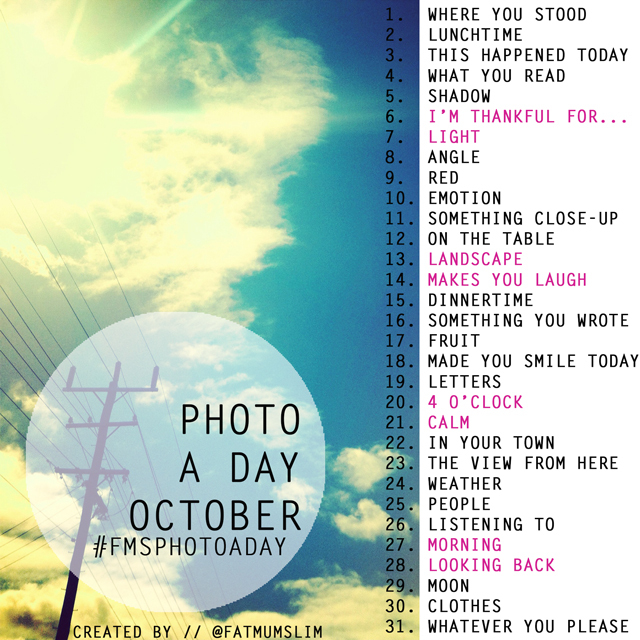 Want to know more about Photo A Day, check out Fat Mum Slim’s blog here.